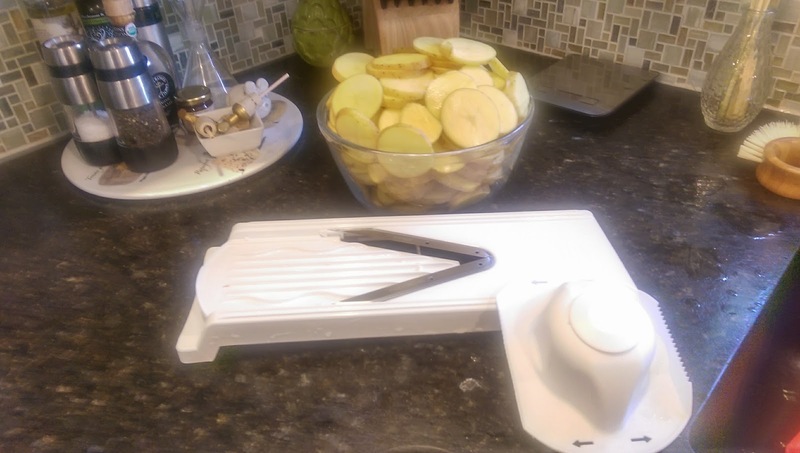 Reduced four pounds of Yukon potatoes to perfect 1/8" slices in under five minutes with the assistance of this V-Slicer Mandoline. Take care to keep your fingers away from the blades or they will meet the same fate. Includes two blades for making thick and thin fries.